Sharp, one of Apple’s display suppliers that is rumored to have just begun production on next-gen iPhone displays, this week announced it will soon begin producing notebook displays with the highest pixel density in the biz. 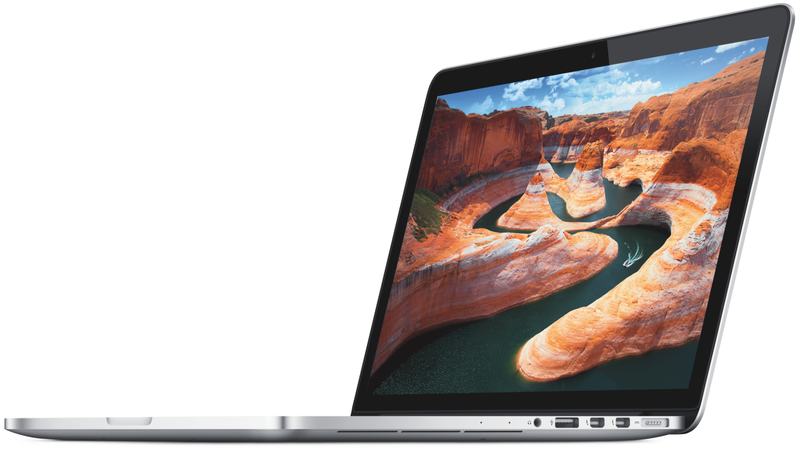 With displays ranging from 11.6 inches to 15.6 inches, it’s entirely a possibility that one could end up in a next generation MacBook with Retina display. IGZO technology enables smaller thin-film transistors and increased light transmittance. As a result, fine text can be rendered crisply and clearly, and images can be displayed with impressive realism. For example, the 14-inch panel boasts a pixel density of 262 ppi, which represents 1.67 times the number of pixels of full high definition*3. Increased light transmittance also means lower rates of energy consumption, with IGZO technology reducing the amount of power required to drive liquid crystals during the display of still images. These factors lead to greater energy efficiency and longer battery life on notebook PCs. IGZO technology is also compatible with stylus-input touchscreen functionality. Sharp will start producing the displays, which boast a resolution up to 3,200 x 1,800 and pixel density of 262 ppi, in June and already has a 13.3-inch model being mass produced. We’ve had hands-on time with Sharp’s high resolution IGZO displays at CES this year and had nothing but positive things to say. It was previously rumored that Apple had considered using Sharp’s smaller IGZO panels for iPad and that’s also still a possibility for future generations of the device.